It's been some years since we established this property broking business. We have helped many people settle in their dream homes and offices. Our team is professionally qualified to understand your property requirements and propose a win-win solution. We believe, if given an opportunity, we will be able to obtain the best deal - for you. Thus we can proudly say, “We Put People IN Their Places”. " Thakurli is now new destination for home seekers as it is a twin town of Dombivli & lot of open farm field is available for development & access to Dombivli & Kalyan with comparatively low rate. Dombivli is known for many positive things which goes in its favor, some of these are like 100% literacy rate, 99% working middle & higher middle class peace loving population who are known for their cultural activities. Renowned personalities from all walks of life are staying here. Boundaries of Dombivli are extending due to increase in home seekers & non-availability of space. Big projects are coming at outskirts of Dombivli from reputed developers with all modern amenities. Limited mode of transport ie Railway on which 99% population is depending for transport. 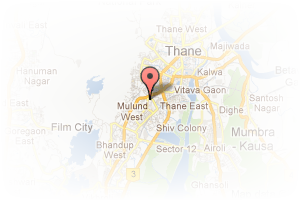 Address: Shop # CS-15, NavVrushali CHS., Agarkar Road,, Dombivli East, Thane, Maharashtra, India. 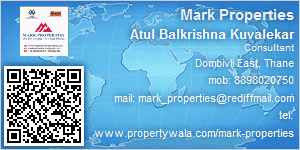 This Broker Profile page for "Mark Properties" has been created by PropertyWala.com. "Mark Properties" is not endorsed by or affiliated with PropertyWala.com. For questions regarding Broker Profiles on PropertyWala.com please contact us.